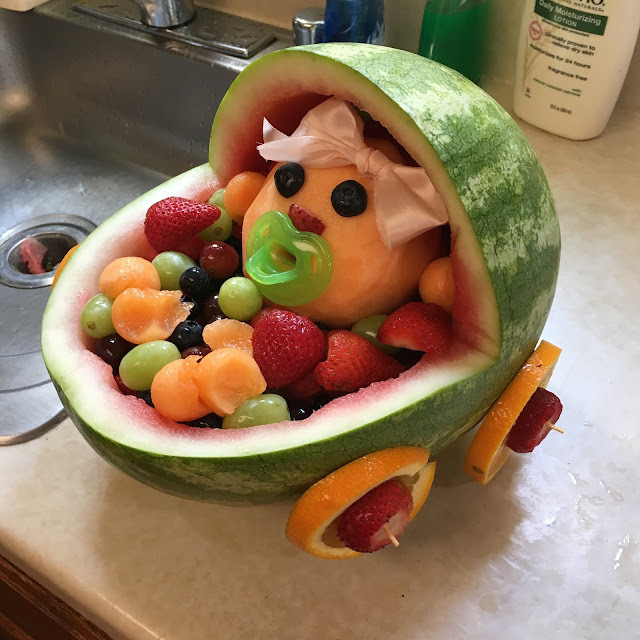 My sister wanted a co-ed baby shower for family and friends of different circles (possibly including kids), and she wanted it to be casual, low-key, not too pink, and with no cheesy games. Phew! We can do this. We decided on a hot air balloon/adventure theme, divvied up the food and decoration tasks amongst the three of us planning the party, and delegated the game planning to my sister’s husband. 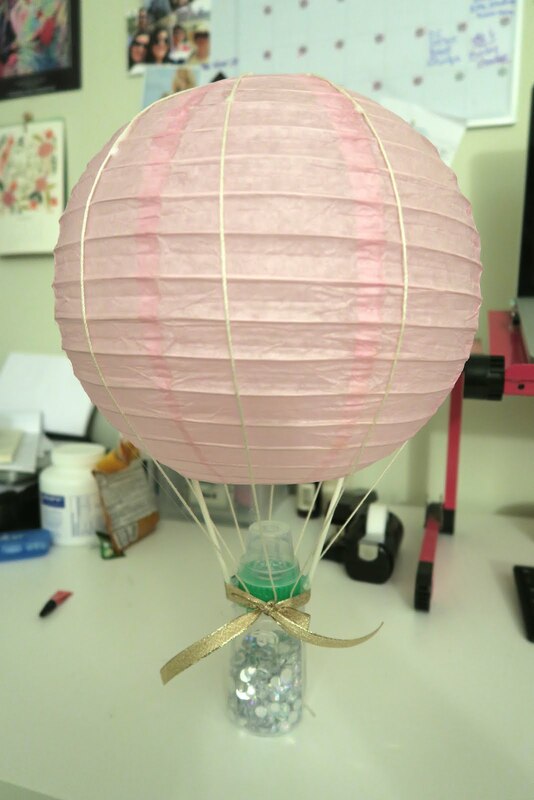 To make these cute hot air balloon centerpieces, I bought most of the supplies off Amazon and had some other things on hand (e.g., string, gems). The absolute hardest part of making these was not having three or four hands to hold things in place while trying to glue pieces together! I must have used my thighs, side of the table, and whatever else was nearby to act as temporary arms 😂 First, I “inflated” the lanterns using the metal frame that came with it. Then, using the hot glue gun, I glued the lollipop sticks to the inside edge of the lantern. Once that was dry, I glued the other end of the lollipop sticks to the sides of the baby bottle lid. 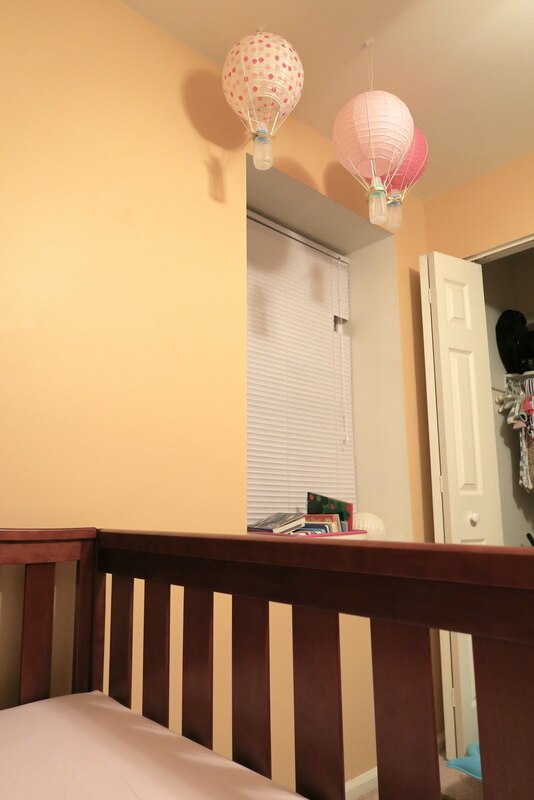 Once that part was dry, I filled the baby bottles with gems so that they were somewhat weighted and would prevent the lanterns from falling over and screwed the lid on. Next, I cut 4 strings and draped them over the top of the lantern and hot glued them to the sides of the lid. I kept the strings in place on the top of the lantern by dabbing some Elmer’s glue on them. 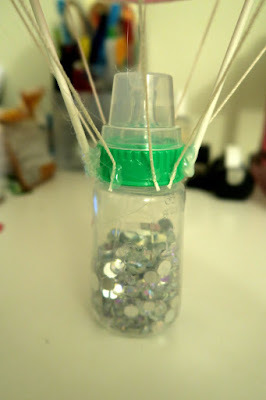 Lastly, I covered the unsightly glue around the baby bottle lid with a ribbon. Then, I repeated this three more times to make four total. Pretty cute, right?! (Inspired by Our Change of Art’s blog post). 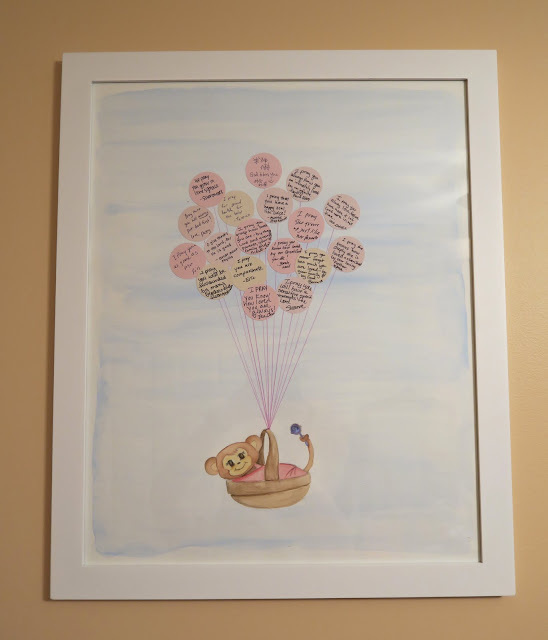 My sister's talented friend, Liz, made this artwork! 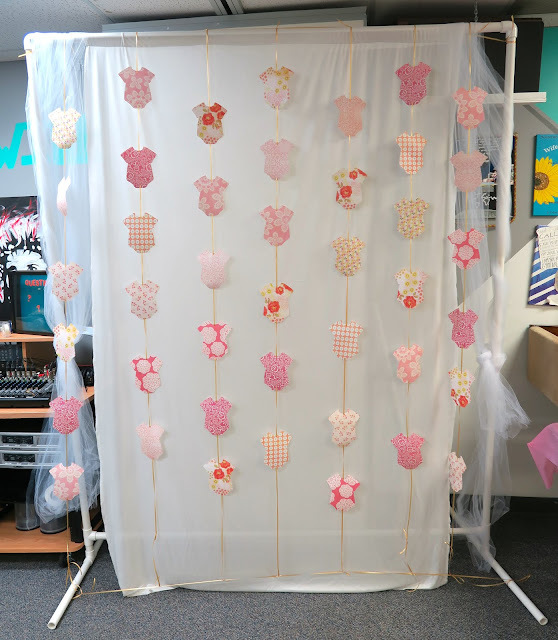 Liz also made this baby onesie backdrop by hand cutting out all the onesies! A nice place to take photos in front of. I thought this was a cute touch to label the different “stations” using paper straw easels. I followed this blog for instructions on how to cut and glue them together. It’s another one of those quick hot glue activities. I'm in love with how this turned out and it was actually very easy to make! 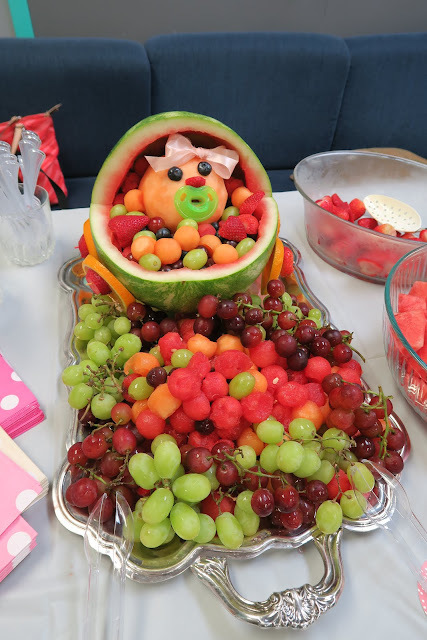 I think it only took me 20-25 minutes to complete; the fruit prep was the most time consuming part of it. I followed this YouTube video to get the general process down. Really recommend watching it if you’re going to make this! As with all my other materials, I bought the pacifiers from Amazon. Lucky for us, my cousin’s husband owns a candy company so he sent us a whole bunch of candy for the candy bar- so nice! And a little bit dangerous for those of us who have low self control... lookin at you, chocolate covered pretzels! We also provided candy bags so adults and kids could take some home. 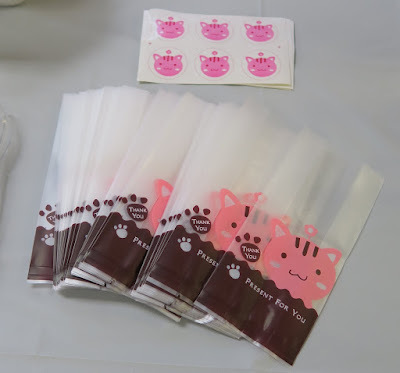 I would suggest getting bigger bags than the ones we got (although super cute), but I got these. For this interactive art piece, we ordered the frame from Amazon. Here are two good options: option 1 and option 2. Liz drew the background, which features a monkey because the baby is born in the Year of the Monkey! 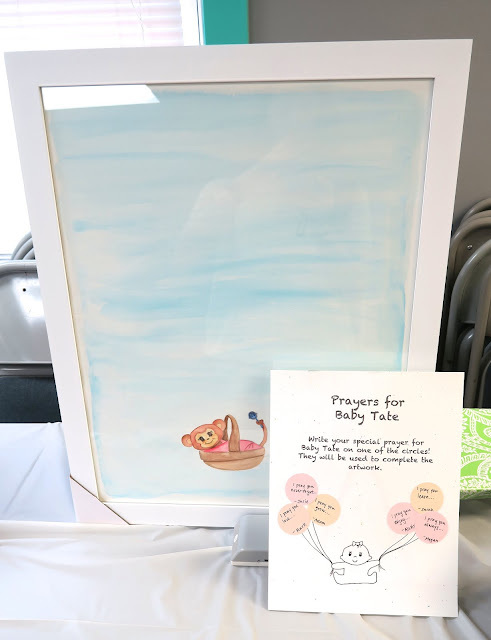 I cut out circles using a 1.5” circle punch and wrote a sign instructing guests to write prayers for the baby on them. For the paper, I bought a wedding neutral paper pad so that I’d have some non-pink colors, per my sister’s request for a not-all-pink party. After the party, I glued the completed prayer circles onto the drawing using a glue stick and drew in the strings to complete the picture. 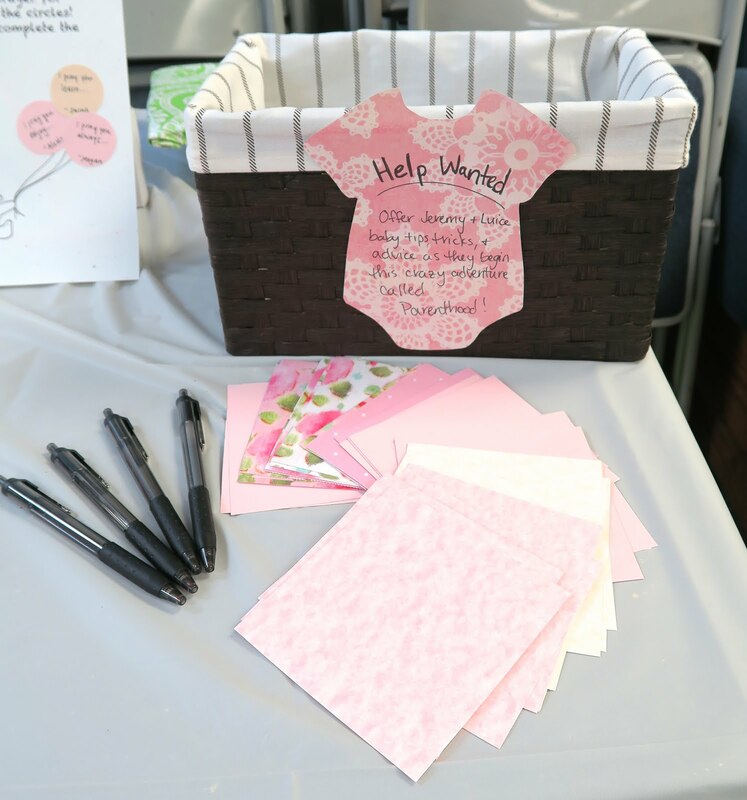 My sister’s friend, Jessica, put together this advice box for seasoned guests to share their parenting wisdom and tips. 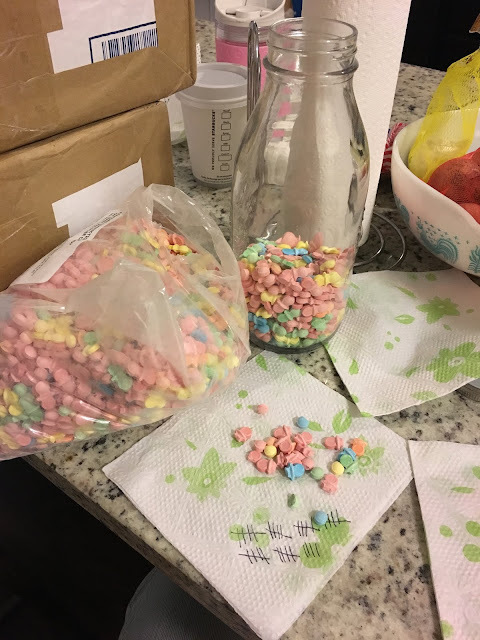 I bought the glass bottle from TJ Maxx and hand counted all the pacifier candies in the jar. Yes, hand counted... which took 45 minutes. -_- Anyone want to guess how many there were? (Answer: 916). I think the guests had a good time trying to guess how many were in there, and the winner won a prize which was a spiffy water gun. And now the baby room! Oh my god! This is such an adventurous baby shower. All the arrangements are up to the mark. Must congratulate the host for fabulous work done. 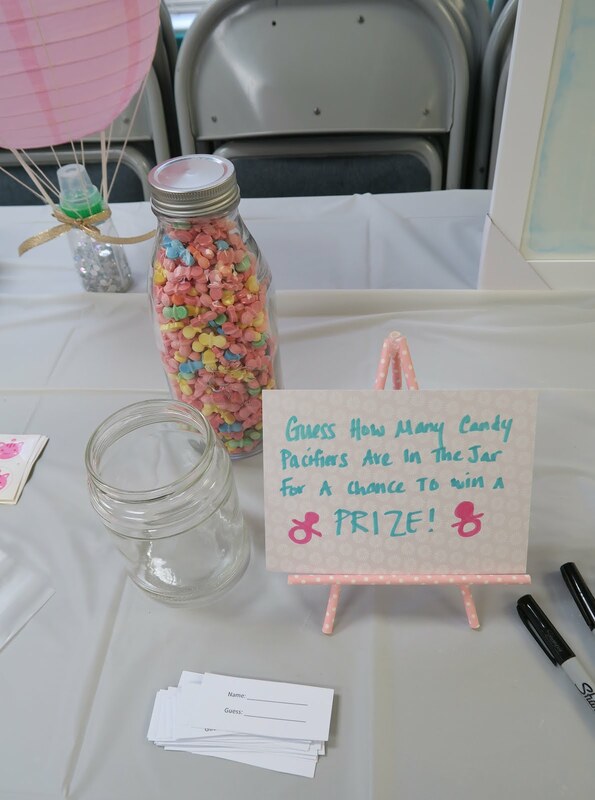 My sister in law is planning a gender reveal party for her. Even her husband is interested in this frolic interesting thought. 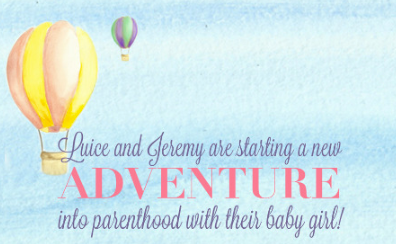 Will share this link with them for any of the lovely event locations to be booked for fun.